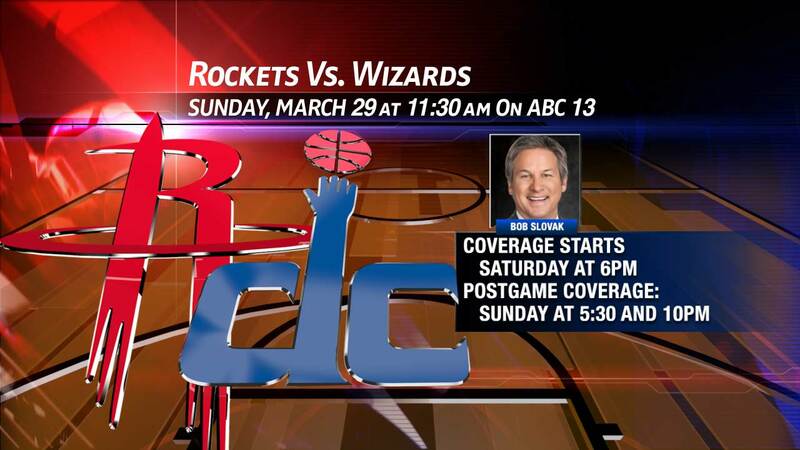 WASHINGTON, D.C. (KTRK) -- The Rockets against the Wizards an 11:30am tip off Sunday morning in D.C., a game you can see live on ABC-13. The Rockets are looking to continue their playoff push. They also made a couple of special stops in the D.C. area today. The Rockets visited the Pentagon and Arlington National Cemetery, where Coach Kevin McHale, James Harden and Dwight Howard laid a wreath at the tomb the unknown soldier. McHale's dad fought in WWII. He said he did it for pops. Howard was humbled to pay his respects for those who fought for our country. With their win over the Timberwolves, the Rockets clinch a playoff spot, overtaking Memphis for the #2 seed in the Western Conference. Harden said after the win over Memphis, "It put us in position to win the division and build momentum for the playoffs."